We love to use promos. Despite the availability of wifi in most areas or use of Internet Data plan, we still need to send SMS or make calls to communicate. Here are some of the Globe Promos that we know and you may find useful when you're on a budget. Enjoy Unlimited Calls to Globe/TM/ABS-CBN/Cherry, Unlimited Text to All Networks, and 30MB surfing valid for 2 day/s. Just send the keyword GOCOMBOIJGB30 to 8080 and avail the promo. For ₱95, this the best promo you can get to enjoy 7 days of Unli Calls to Globe/TM + Unli Allnet Texts + 100MB surfing with Free FB. Just send the keyword GOCOMBOIJHD95 to 8080 and avail the promo. Gounli50 gets you Unli Calls to Globe/TM + Unli Allnet Texts + 50 MB surfing with FREE FB, good for 3 Days! 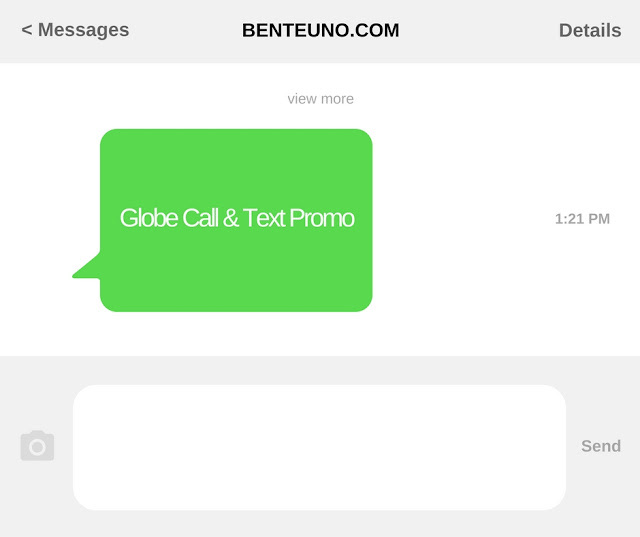 This will give you the option to to SMS anyone even from other networks while under this promo. Though Unlimited calls are limited to Globe and TM only. Just send the keyword Gounli50 to 8080 and avail the promo. Enjoy unlimited calls to Globe/TM/ABS-CBN/Cherry, unlitexts to all networks including Smart/TNT/SUN Cellular plus 150MB for mobile surfing, valid for 15 days for only P180. Just text the keyword GOUNLI180 to 8080. These promos are subject to fair usage. We'll post more promos so stay tuned. If you know any Globe promos please leave a comment below together w/ the keyword or promo code.